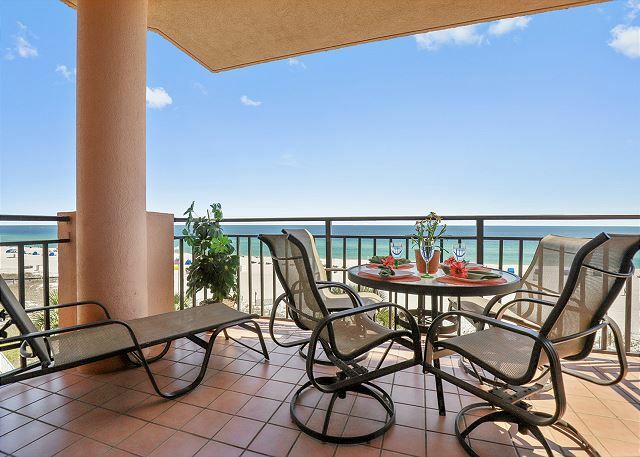 Professionally decorated tropical condo boasts sunrise and sunset Gulf views from the living room, master bedroom and balcony. Two king bedrooms offer large LED TV's and DVD players, and the living room has a 55" HD TV, queen sleeper sofa, and a panoramic Gulf-front view. Fully appointed kitchen features granite counter tops, breakfast bar and stainless appliances, including a large refrigerator with ice maker, and a laundry room with full-size washer and dryer. 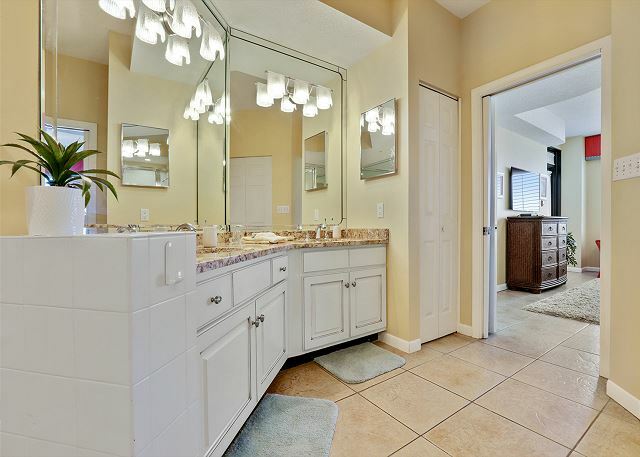 The condo has a spacious master bedroom overlooking the Gulf, and an adjoining mirrored bathroom with whirlpool tub, separate glass shower, double vanities, and a large walk-in closet. 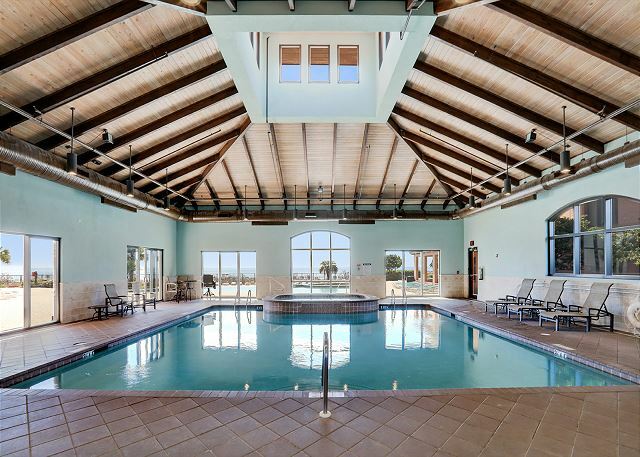 Other features include a wet bar with ice maker, plantation shutters, spacious balcony with swivel rockers and chaise lounge, and a large collection of DVD's, games and books. As a family of 4 we had a great time visiting Orange Beach AL. It was our first time to the area. Being on the Gulf of Mexico with direct beach access was perfect. The Resort had many pools, and also an inside pool since the weather was still cool. We liked being able to have a kitchen and dining area so we didn't have to eat out for all 3 meals. The plus was having a washer/dryer in the unit to clean swimsuits and towels. The only negative was construction work on the balconies, but that's too be expected with the environment. We will definitely be back. 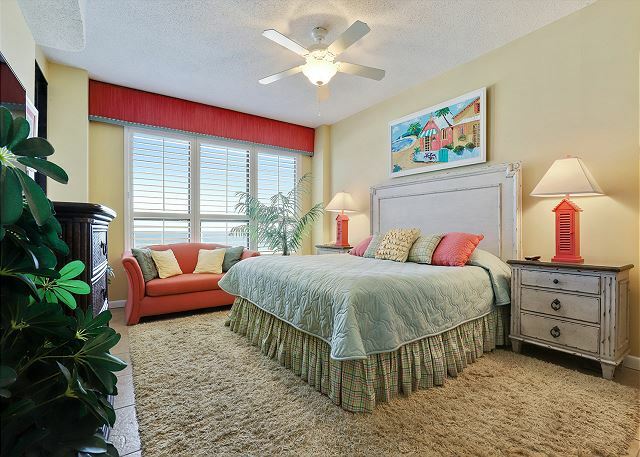 One of the best condos in Orange Beach: comfy beds, beautiful decor, great TV, and 4th floor ocean beach view. Very nice and clean condo!! This is a nice and clean condo. Very well stocked with everything you need in kitchen. Beds are king size and real comfortable. Furniture is in great shape. 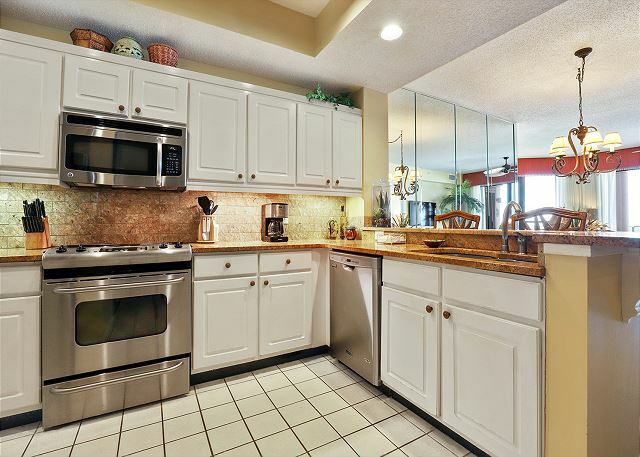 Kitchen appliances are real nice.Great views from the balcony.The owners have done a great job furnishing this condo. We had a fantastic time! I have stayed in this condo previously & wanted to stay again in the same one. 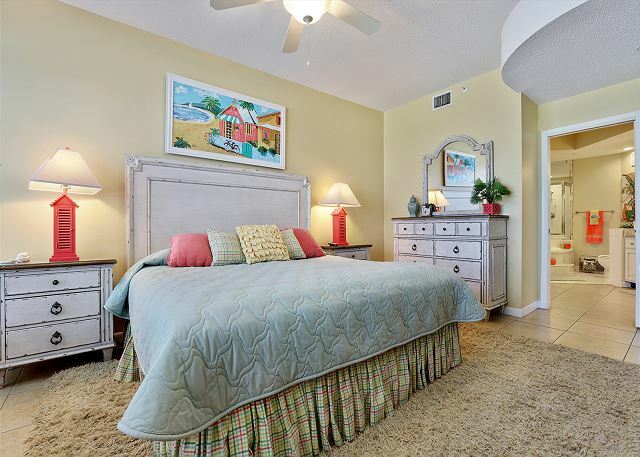 Condo is beautifully decorated, in excellent condition& the location is perfect. Grounds are well-kept & very clean. Staff is friendly & helpful. I have nothing but good things to say about this property. We had a great time at Seachase. The condo was perfect! 402E is a very nice condo rental! The color schemes are bright and colorful and done in very good taste! Everything I could of asked for! Time for a new coffee maker though! No complaints about anything else! Enjoyed our stay and would definitely rent again! Thank you for choosing the Aronov Gulf Coast team for your SeaChase vacation. We're glad you enjoyed your stay with us and hope to see you again soon! And we'll let our housekeeping supervisor know about the coffeemaker; thanks for letting us know! We loved our stay at Sea Chase. It was great having our condo right on the beach. The condo was nice and clean and was everything we had hoped for. The owners even had a beach chair, sand toys and boogie boards for our use. Would recommend! We all had a great time and we all love this condo. Thank you for taking the time to respond. We're so glad you enjoyed your stay with us and hope to see you at SeaChase again soon! Glad you enjoyed your stay. See you next winter! Love this condo! Great beach view, comfortable beds, fantastic TV, and nice kitchen. 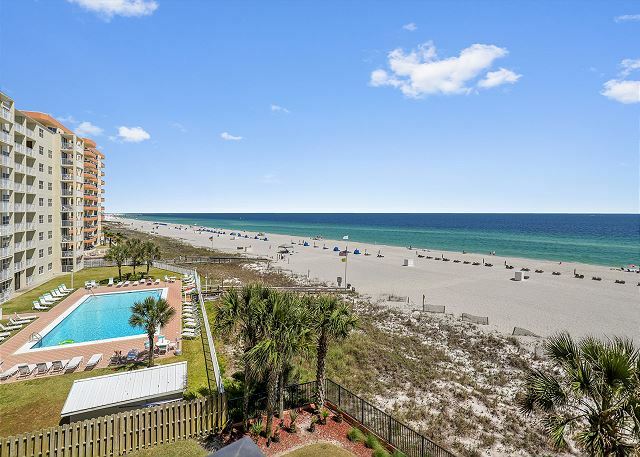 One of the best condos at Seachase. Thank you! We're very happy you enjoyed your stay! We had a great time in Orange Beach on our Fall Break 2017 and Sea Chase is a great place to stay! 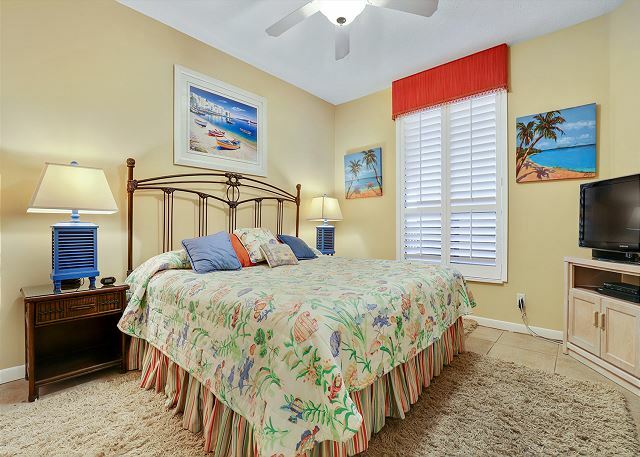 The property is beautifully landscaped and well maintained. The pools were crystal clear and so inviting! I would recommend room #402 in the East Tower to my family and friends in the future! Everyone I spoke with at Sea Chase and Aronov were friendly and helpful. We are repeat patrons. You cant go wrong if you book your vacation spot at Sea Chase! 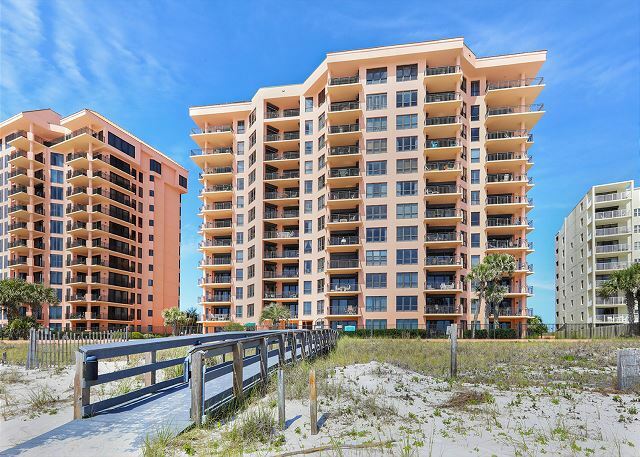 I recently stayed st the Sea Chase in Orange Beach, AL. 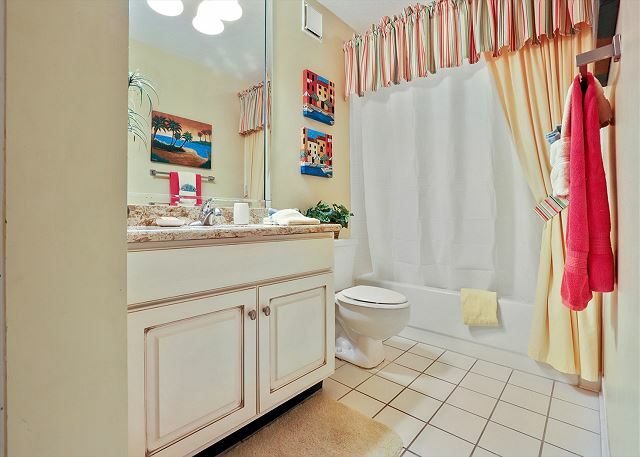 The property is beautiful - very attractive & well maintained. Our condo was clean, quiet, very comfortable & so attractively furnished. The property is near restaurants & markets. I have stayed at this property in the past & will stay there in the future. The only negative comment I have is that 2 or the 3 TVs would not change channels. This was beyond the control of the property & was the responsibility of the cable company. The property staff was very accommodating. Our family had a wonderful stay at Sea Chase. The condo was beautiful. It was updated and beautifully decorated. The kitchen was well stocked with everything we needed. The rooms were spacious and comfortable. We were pleased with the pools and the landscaping was impressive. A good time was had by a. The area has outstanding beaches, restaurants and activities. The people who manage Sea Chase are professional, friendly, and respond to needs quickly. Condo 402E is delightful. 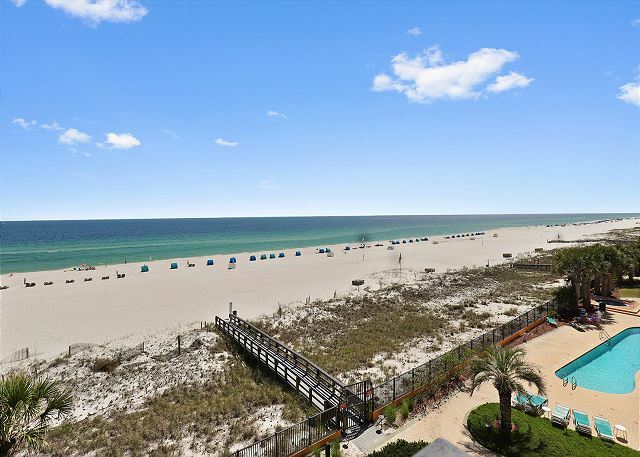 Beautiful beach get away for snowbirds! 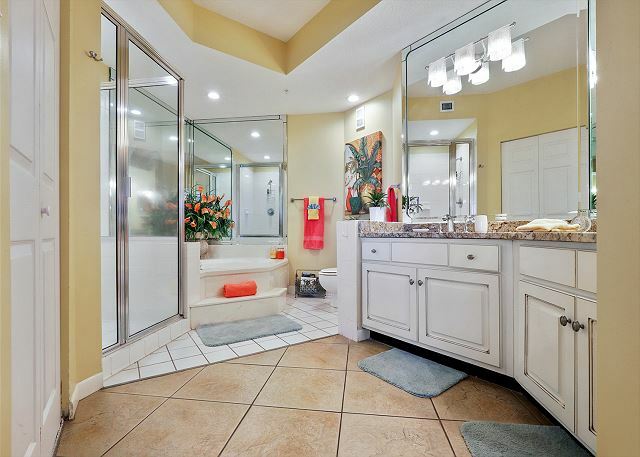 We were impressed with the beautiful condo and the convenience of its location. It was well supplied with everything we needed for comfort. We felt at home and enjoyed the beach decor. Everything that was described in the ad was as stated.